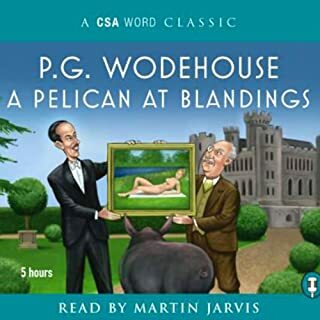 Jonathan Cecil, described as having “one of the best-loved voices in audiobooks” by the P. G. Wodehouse Society, narrates this collection of brilliantly entertaining stories featuring Jeeves and Wooster, including: "Jeeves and the Impending Doom", "Jeeves and the Kid Clementina", "The Inferiority Complex of Old Sippy", "The Love That Purifies", "Jeeves and the Yule-Tide Spirit", "Jeeves and the Old School Chum", "Jeeves and the Song of Songs", "Indian Summer of an Uncle", "Episode of the Dog McIntosh", "The Ordeal of Young Tuppy", and "The Spot of Art." P.G. Wodehouse is not for every mood. But, when you're in need of something truly, truly silly, funny, witty and outrageous, this author can't be beat. And this narrator does a wonderful job bringing Bertie, Jeeves, the Aunts, and all the twits to hilarious life. Good for a smile or a belly laugh, "Very Good, Jeeves" is good enough for me! My candidates for Very Best: The Inferiority Complex of Old Sippy, Jeeves and the Yuletide Spirit, Jeeves and the Song of Songs, The Spot of Art, The Love that Purifies, and Jeeves and the Old School Chum. Let's see...that's six out of a total of eleven stories. And the remaining five are almost as good. The only downside is that I first heard Frederick Davidson read this collection. As good as Jonathan Cecil can be--see his rendition of Uncle Fred in the Springtime, Uncle Dynamite or The Code of the Woosters--he doesn't come up to the mark set (at least in my mind) by Davidson on this set of stories. 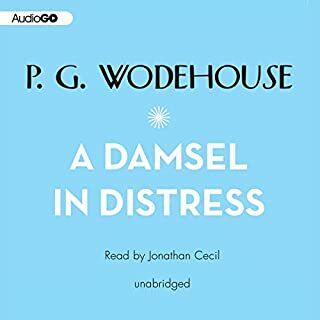 I have listened to 2 other Wodehouse narrators and Jonathon Cecil is the absolute best. He captures the humor somehow differently than the others and I, honestly, laughed out loud many times during "Very Good Jeeves." The others read it with the proper stuffiness, but he "gets" the humor. 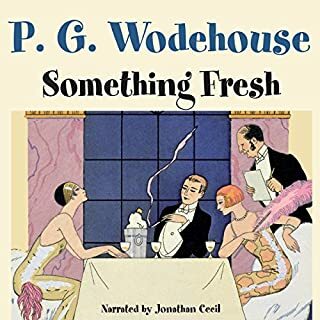 I am now searching for Cecil readings of Wodehouse rather than Wodehouse readings. Having always loved the Wooster and Jeeves BBC television adaptation, I thought, "Ho!" Why not give the audio book a try? It is even funnier because you get inside Wooster's rather addled head. The narration of this one was hysterical. My husband and I were listening on an airplane and pretty much had to stuff our fists in our mouths to avoid guffawing out loud repeatedly. I just downloaded an earlier Wooster and Jeeves (My Man, Jeeves) and am not so far impressed with the narration. Hugh Laurie and Jonathan Cecil (narrator here) have apparently spoiled me. All the stories are basically the same theme, so It's not like one really needs to listen to every single book, I suppose. Hence, I am off, forthwith, to check on more narrated by Jonathan Cecil. All Jeeves stories are pretty much the same, so I won't go into any detail about the various scrapes Bertie gets into. Suffice to say that Jonathan Cecil is my preferred delivery mechanism for this inimitably funny material. 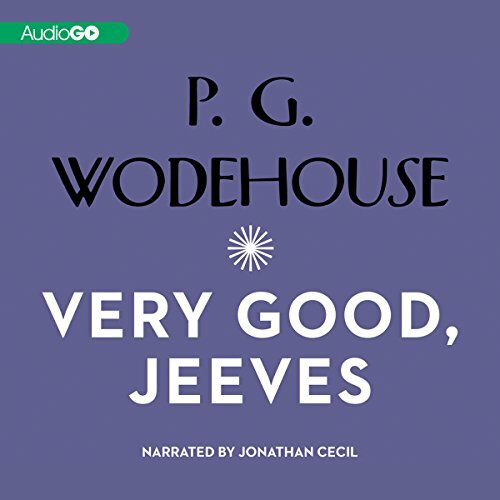 Would you consider the audio edition of Very Good Jeeves to be better than the print version? Mr. Cecil does an exceptional job of reading...all the characters are so well done. My 5th & 6th Graders loved it! 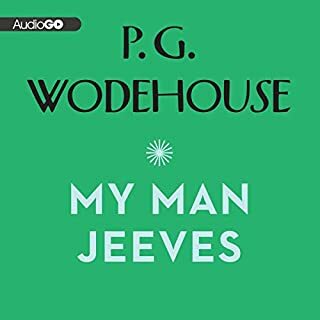 Where does Very Good Jeeves rank among all the audiobooks you?? ?ve listened to so far? It's Wodehouse. What else do you want? It's very, very funny. Have you listened to any of Jonathan Cecil?? ?s other performances before? How does this one compare? If you could rename Very Good Jeeves, what would you call it? I think Wodehouse used them all. Wodehouse's wit and dry cleverness seem inexhaustible in these stories. There is a wry smile or a wonderful laugh in almost every minute. The best of British humor! What did you love best about Very Good Jeeves? 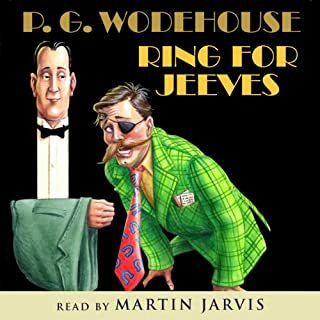 Having read Wodehouse 30 years ago and having only a dim memory of my enjoyment of his Jeeves series, listening has made it one off the greatest and most pleasant entertainment options I have ever experienced. I will probably spend years re listening to these hilarious tales! I waited a long time for this title...thanks! 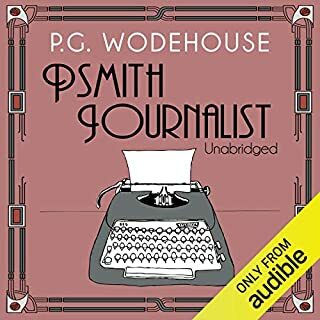 Where does Very Good Jeeves rank among all the audiobooks you’ve listened to so far? If you could take any character from Very Good Jeeves out to dinner, who would it be and why? Bertie is my type of man...sincere, takes orders well and is just a bit "dim"